There are not that many people who know just how useful a scroll saw can be, and even fewer who know what to look for when picking one out. For that reason we decided to create this list of the top 10 best scroll saws in such a way that, even if you know nothing about scroll saws, you will be able to tell which the best one for you is. First, of course, you need to understand that, although a scroll saw is an excellent tool for wood work, it can have several other applications. 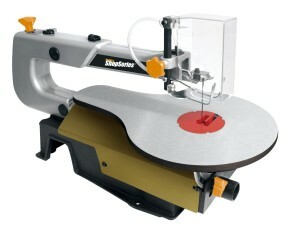 For that reason, our favorite scroll saw is also the most versatile in the bunch and we will get to it fairly quickly. We are going to start the list with the Dewalt DW788 because it perfectly does each of the basic things you would want to do with a scroll saw. That is to say it has an upper arm that can be easily raised so you can fit the blade inside the wood pattern for interior work. The blade can be released and even switched without any tools and it has an automated tensioning system. It also has a flexible dust blower so you can always follow the lines that you are cutting. Finally, you can adjust the speed of the saw, and that way you can control when you need to slow down and maneuver around a difficult part of the design. Equally impressive is the fact that the Dewalt has received a 4.2 star rating on Amazon making it one of the favorites of more than 100 buyers, which is in line with the ratings for other renowned DeWalt Saws. The thing that we love about the Central Machinery scroll saw is the fact that its table tilts so you can easily make 45 degrees cuts in the wood. It has a much smaller dust blower but it is adequate to the task of keeping your work surface clean enough to follow the lines of the design you are working on. However, another interesting thing about it is the fact that the base has predrilled holes so that you can easily and safely install it on your work bench and fasten it down with a couple of retaining bolts. Finally, it is worth mentioning that it has 4.8 star rating on Amazon, although, it is equally important to note that only 4 users have rated it. Off all the scroll saws we have seen the Dremel is by far our favorite because it can do something that very few others can: it has a detachable handheld part. 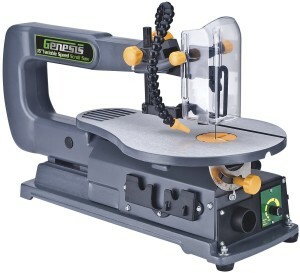 That means you can use the Dremel as a conventional scroll saw while it is attached to its base, and you can take the hand held saw and cut any piece of PVC or wood that may be attached to something else and that you cannot put on the work bench. Also the base has a dust removing system and can be easily clamped to any work bench for easy access. The Shop Fox is one of the most powerful variable saws that we have on this list at 110 volts. It also comes with a very powerful work lamp and a dust suction system that can keep your work surface perfectly visible. Another interesting thing about it is that it can use both plain and pin blades. And, at 3.6 stars on Amazon, it is a fairly loved machine by most of the people who have bought it. 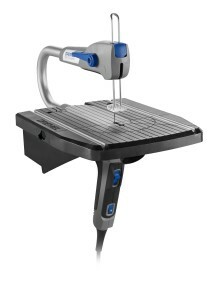 The thing about the Delta Power scroll saw is that it comes with its own work bench. That may be God sent for some people and a deal breaker for others so that is why we thought about placing it in the middle of our list of the best scroll saws available on the market in 2013. 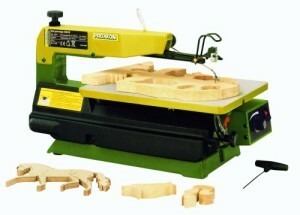 It also has a tilting table so you can cut the blocks of wood at different angles for a more interesting look. 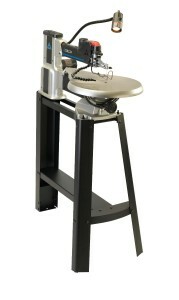 However be warned that, with that extra work bench, the price goes way up, well over 550 dollars, so this is a truly professional tool and should be treated as such. 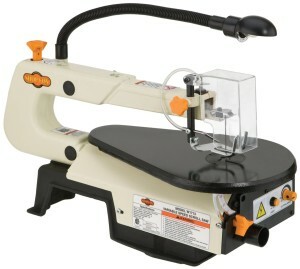 The Proxxon is a fairly beefy scroll saw capable of easily cutting through 1 inch thick wood. It comes with its own blades, 5 course and 5 fine so it is ready to go from the moment it arrives at your door. It has its own vacuum system but not its own light, and that is something we really did not like about it. Still, to have earned a 3.4 star rating on Amazon, despite its close to 300 dollars price tag, is a fairly impressive thing. For that reason we have decided to feature it as one of the best scroll saws you could buy in 2013. The thing we liked most about the Genesis was its down to business, professional look. 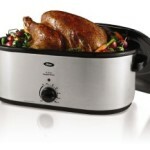 It is also a fairly inexpensive machine, at 140 dollars, but it delivers each one of the niceties of the more expensive machines. So, besides the dust blower and the protection mask it also comes with a pivoting table so that you can cut at an angle. It comes with its own blades but you should also consider the fact that you need an allen key, supplied with the machine, to change the blades. 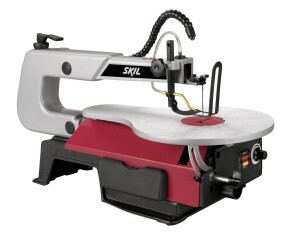 Skil is one of those tool manufacturers that have always impressed us with the quality of their machines and the relatively low prices, and the Skil 3335 scroll saw does not disappoint. It has everything you would need with its own dust blower and LED light. It also has a fairly powerful 1.2 amps motor and a tilting work table. You can adjust the speed of the saw to perfectly focus the cutting angle. There is just one apparent problem that you need to consider with the Rockwell RK7315, and that is it does not have a work lamp. However, it has a very good explanation for that fact, which is that it was designed to be light weight. 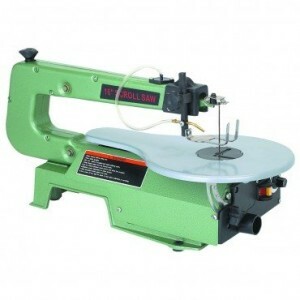 So, if you are a teacher and you need to be able to carry a scroll saw with you, or you have another situation that requires you to be able to take your scroll saw with you, then the Rockwell RK7315 is the best choice for you. 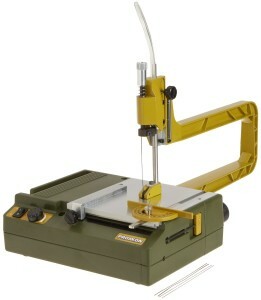 The Proxxon 37088 is as much a scroll saw as it is a piece of history. It has been updated to modern times with a blower, an electric motor and even a vacuum, but it is the most retro looking scroll saw you could hope to find. It does not have a pivoting table but it works fairly well and you may enjoy having it around the work shop even if just as a show piece.